MELVILLE, N.Y., April 4, 2017 – Signifying a continued commitment to corporate social responsibility, Canon U.S.A., Inc., a leader in digital imaging solutions, is proud to commemorate 20 years of long-standing collaborations with two of its flagship corporate social responsibility partners - the National Center for Missing & Exploited Children® (NCMEC) and Yellowstone Forever -- formerly the Yellowstone Park Foundation. Over the last two decades, Canon U.S.A. has worked together with NCMEC to help find missing children and drive awareness about child safety, and with Yellowstone Forever to raise awareness about the importance of environmental stewardship and conservation. Since 1997, Canon U.S.A. has embraced NCMEC’s efforts to find missing children and deliver messages of safety and prevention through the Canon4Kids program. Canon has helped place missing children’s photos in venues around the country, where they have been seen by hundreds of thousands of concerned citizens and educated millions of families about tips for taking and maintaining updated photos of their children. Canon U.S.A. has also donated products to help law enforcement quickly disseminate photos and information about missing children. To date, Canon has donated more than 2,200 pieces of digital photographic and imaging technology equipment to law enforcement agencies throughout the United States and Puerto Rico. 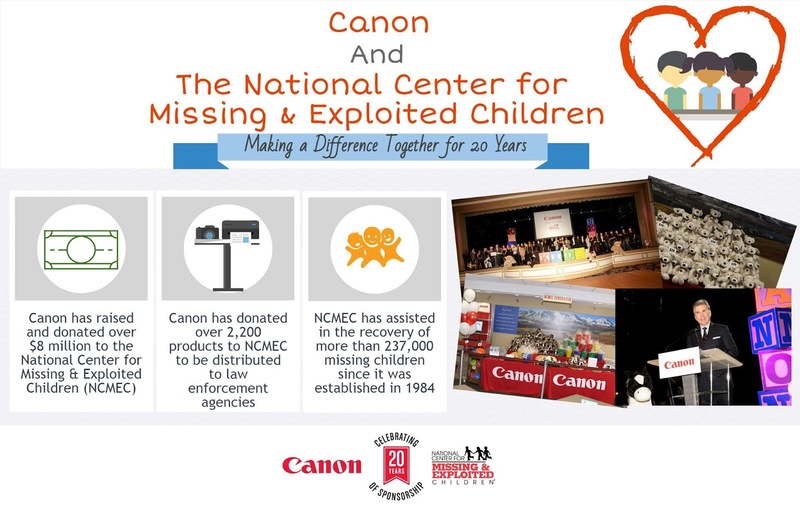 Canon U.S.A. also supports NCMEC’s mission to protect children through fundraisers and in-kind contributions. Earlier this year, Canon sponsored the 20th Anniversary Celebration NCMEC Celebrity Golf Tournament and a Canon Customer Appreciation Reception in Las Vegas which raised $357,600 for NCMEC when combined with total donations. 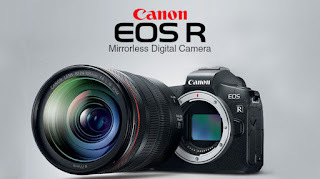 For more information about the Canon4Kids program, visit usa.canon.com/Canon4Kids. Canon U.S.A.’s contributions to Yellowstone Forever have supported numerous educational and scientific research efforts geared towards better understanding the environmental impact on Yellowstone Park’s wildlife and ecosystem. Through Eyes on Yellowstone, Yellowstone Forever’s research and education platform, Canon U.S.A. has helped Park employees and partners respond to climate change issues through mitigation, adaptation and communication to the public. 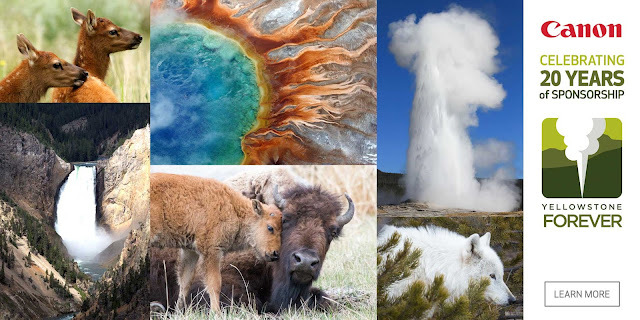 Canon U.S.A.’s funding for Yellowstone Forever assists with important scientific research in conservation, endangered species protection and the application of cutting-edge science and technology essential to managing Yellowstone National Park wildlife and ecosystems. 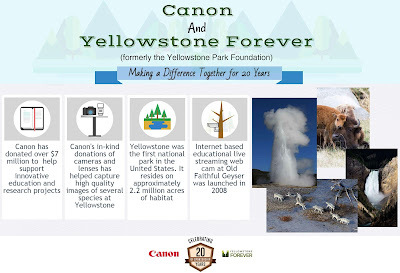 “We are proud to celebrate 20 years of partnership with Canon U.S.A., Inc. Their generous commitment to Yellowstone National Park over the past two decades, totaling more than $7 million, helps support innovative education and research projects. The Eyes on Yellowstone program, made possible by Canon, represents the largest corporate donation for wildlife conservation in the park,” said Dan Wenk, Superintendent of Yellowstone Park. Canon’s streaming webcam supports the live online feed of the Old Faithful geyser. Canon equipment also supports online roving rangers, as well as a series of education web videos and podcasts. The Yellowstone Wolf Project uses Canon digital cameras in its aerial radio-tracking flights within Yellowstone National Park as a method to enhance its data collection, while the content and media on the park’s official website brings science and education together to help preserve and protect this area of national significance. For more information on Canon U.S.A.’s corporate social responsibility initiatives, please visit www.usa.canon.com. Since 1984, the National Center for Missing & Exploited Children® has served as the leading private, nonprofit organization helping to find missing children, reduce child sexual exploitation and prevent future victimization. As part of its work as the clearinghouse and resource center on issues relating to missing and exploited children, NCMEC operates a hotline, 1-800-THE-LOST® (1-800-843-5678), and has assisted in the recovery of more than 237,000 missing children. NCMEC also operates the CyberTipline®, a mechanism for reporting suspected child sexual exploitation, which has received more than 16.5 million reports since it was created in 1998. To learn more about NCMEC, visit www.missingkids.org or see NCMEC on Twitter and Facebook. Yellowstone Forever connects people to Yellowstone through outstanding visitor experiences and educational programs, and translates those experiences into lifelong support and philanthropic investment to conserve and enhance the park for the future.